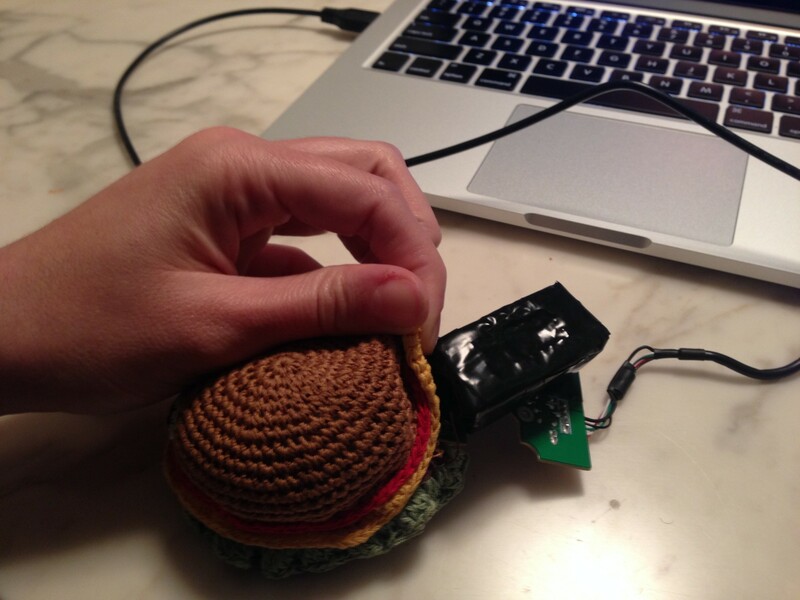 For my keyboard hack, I made a dog toy push/squeeze switch that plays a video of my dog playing with the same toy in the past. My dog is back home in Miami, so I wanted to create an interface that could make me feel like I’m playing with him even though he’s not actually here. The video plays when you squeeze the toy and pauses when you release it. 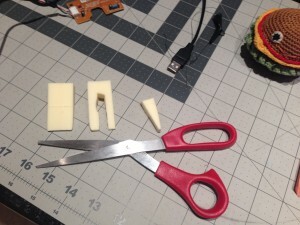 I created a squishy/squeezable switch using two foam makeup sponges. 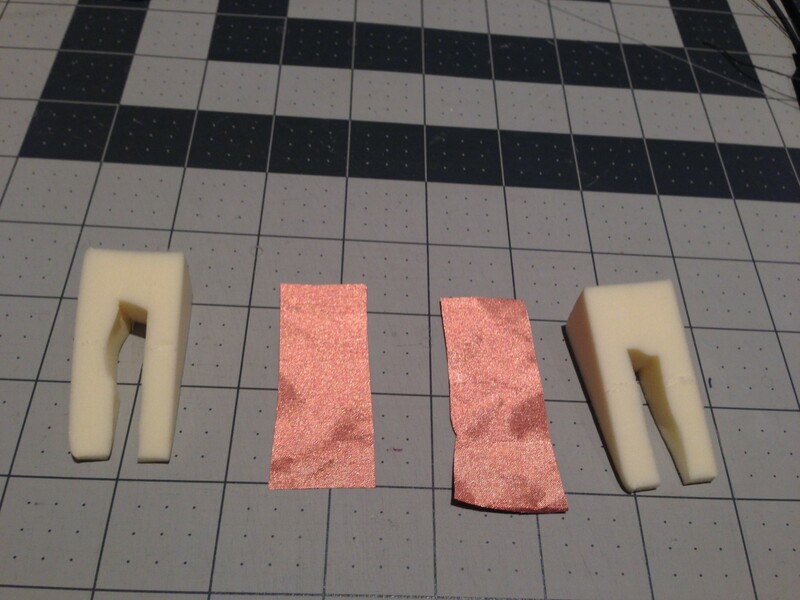 I cut a hole in the middle of the sponges and sandwiched them between two pieces of copper fabric. 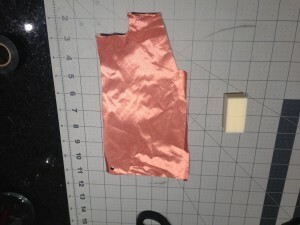 Next, I used copper tape to connect two pieces of conductive thread to the copper fabric. I then used electrical tape to secure everything in its place and make sure the squeeze switch was durable. 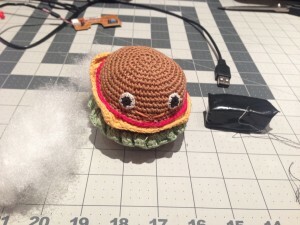 I removed the “fluff” from the hamburger toy and made sure the switch could fit inside. 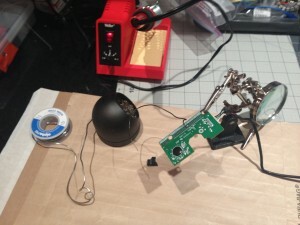 After finding a working key on the keyboard’s board, I soldered the connections in place using regular hookup wire. 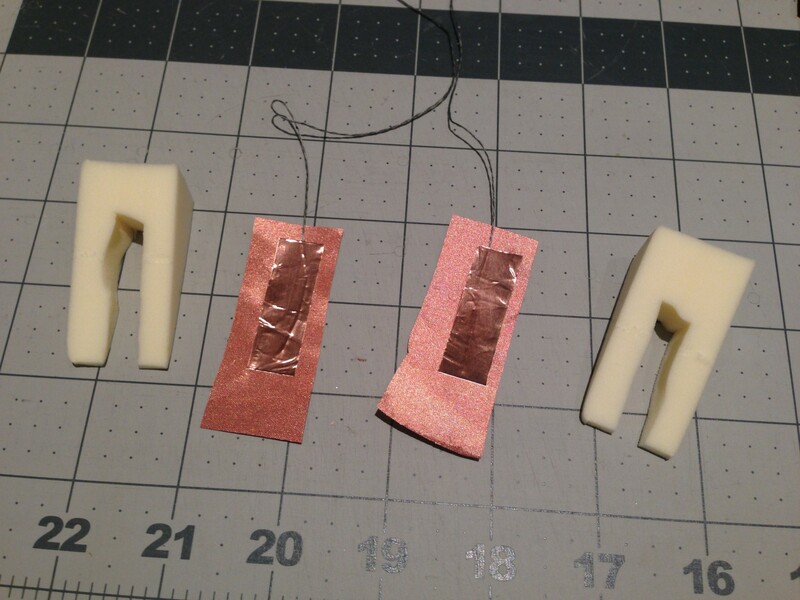 (*This was the hard part for me – the resin on the board kept melting over the metal as I was soldering my wire to the board, which made me have to keep sanding it down and try again). 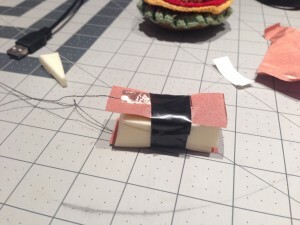 Once a successful connection was made, I attached the conductive thread from my squeeze switch to loops in the hookup wire. 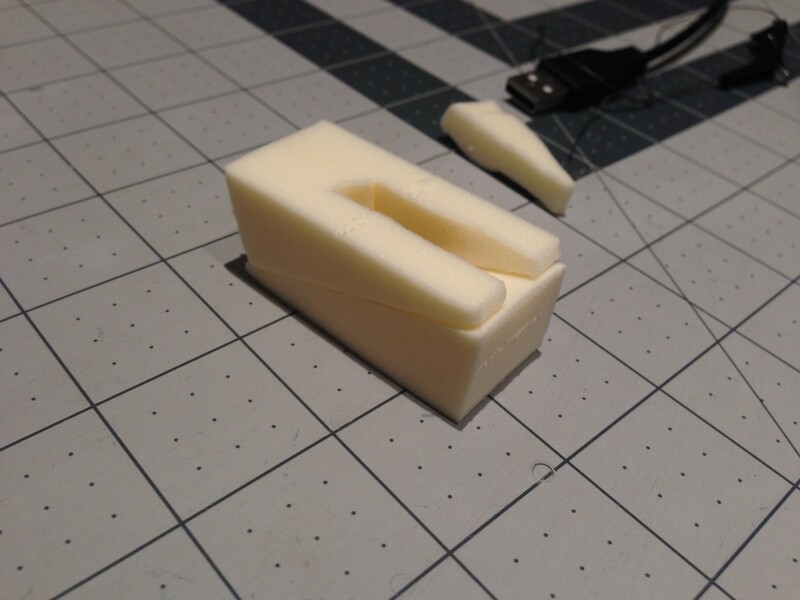 Now when you squeeze the toy it will register as a key press from a keyboard over USB. After fitting all my components inside the toy, I created a simple video player in Processing and tested out my interface. PS: this is the video that plays in my Processing sketch just in case you can’t see it in the top video. 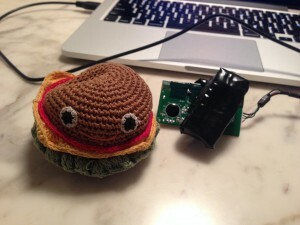 This entry was posted in Week 3: Switches, Sensors, & Keyboard Hacking on October 1, 2015 by Jane McDonough.